Trademarks—words or images that connect products to the companies they come from—are commonly understood in terms of their modern (R) and TM signifiers. But trademarks have a long, fascinating history that reaches back to Biblical times and beyond. Let’s take a look at a few eras during which trademarks were in use, and how that use has evolved. 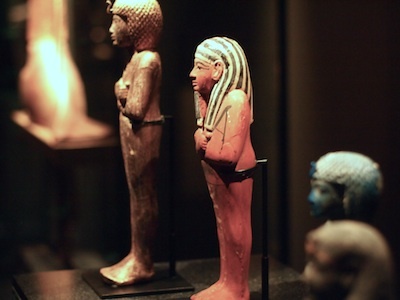 Ancient Egyptian craftsmen used trademarks to identify the source of their crafts. During ancient Egyptian times, trademarks (of a sort) began to be used; to indicate the origins of a particular product, craftsmen began incorporating unique signs or images into their wares so all would recognize who the creators were. Ancient China, as well, saw the widespread use of trademarks in the form of gold seals or coins with unique drawings or imprints pressed into the metal, identifying the owner. Around 1000 AD, during the Middle Ages, the first “databases” of trademarks began to appear. Traveling merchants began to keep track of vendors and their unique trademark symbols so that goods from afar could be verified and relied upon as authentic. Use of symbols and signifiers spread to include new and creative uses. Bells carried trademark symbols etched into the metal; watermarks were used on documents and publications; symbols were woven into fabrics and textiles; even bread and other baked goods were imprinted with distinctive markings or stamps, pressed into the loaf as it rose to indicate its true origin and quality. In 1870, trademark protection was added to the constitution, marking the first federally mandated treatment of the marks. While this early version of the law notably failed to specifically ban counterfeiting, this oversight was remedied in later legislation. Trademark symbols are now regulated by the US Patent and Trademark Office. In our time, the US Patent and Trademark Office oversees all federal trademark filings. In many cases is it also possible to file a state trademark with your Secretary of State and enjoy limited regional protection. In addition, trademarks with no registration whatsoever can enjoy some protection under the law, provided they are in fact being used (or plan to be used) commercially as trademarks. 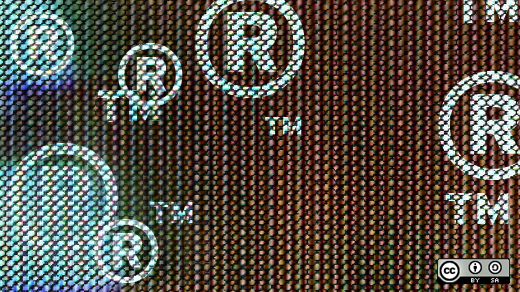 Under current trademark law, the uses of registered and unregistered trademark symbols are regulated by the USPTO. Predictably, variety of trademarks and trademark symbols can lead to a sketchy understanding of how to keep from infringing on an existing trademark—or to properly manage and protect your own. Since there is no central database of trademarks containing 100% of all being used across the country, it’s always a good idea to consult with an intellectual property attorney familiar with trademark law. ‹ Can I Copyright My Whole Album in One Submission?